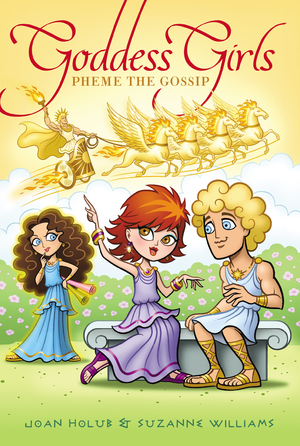 Get to know Goddess Girl Pheme…the original “gossip girl”! As the goddess girl of rumor and gossip, Pheme prides herself on being “in the know” and having the most up-to-date info on anyone and everyone at Mount Olympus Academy. To make sure that people really get her VIP messages, her words tend to linger in cloud letters above her head—just in case people don’t catch what she says! 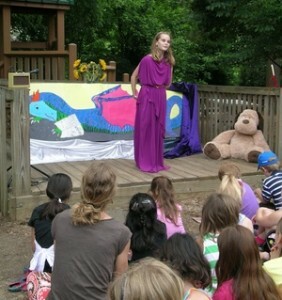 But not everyone is thrilled with Pheme’s insider knowledge on everything MOA—including the Goddess Girls. Can Pheme ever be trusted? Or will this “gossip girl” find herself on the other end of the rumors? 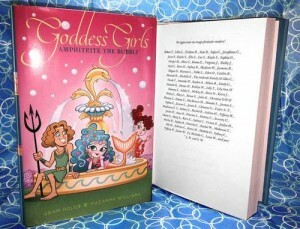 Want your name on the dedication page of a Goddess Girls book? We post a call for readers’ names on FB every few months. Sometimes we do giveaways. 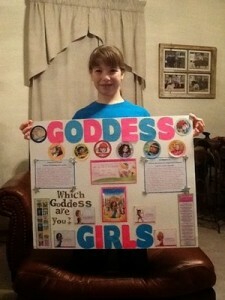 Are you having a Goddess Girls or mythology party, making a mythology school project, or planning a GG Club? Share your stories and photos! Or just come by to chat with us.